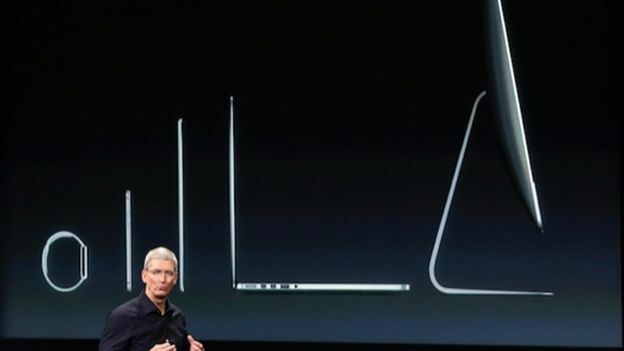 What’s Apple got in store for 2015? After another dominant year in 2014, what’s Cupertino got lined up this time around? 2014 has been a bonanza year for Apple. The cash mountain is getting scarily high, with revenues pushed to over $180 billion, increasing profit to nearly $50 billion, and the fruity firm is selling more products than ever before. OK, the iPad is no longer experiencing hyper growth, but others, such as the iPhone, are still seeing double digit growth figures from year to year. iOS 8 has largely been a success (a few launch hiccups aside), building on the foundations laid down by iOS 7, while the iPhone 6 and 6 Plus have moved Apple into the large-screened-phone arena, nabbing market share, and profits, from Samsung, which has gone from behemothic giant to, well, a smaller giant. But 2014 is old hat. It's so last year. So sit back, pour yourself a double shot of whatever you deserve, and watch as we cast our eyes forward and look at what Apple is planning for 2015. Apple's first move has already been given away by Tim Cook onstage last September, in a move that was probably designed to stop you scribbling 'Android Wear watch' on your list to Santa. When will it be coming out though? It's already been aeons since launch, but the good news is you won't have to wait much longer. The latest info reckons it will be available on, or by, Valentine's Day. Many column inches have been spent on the price of the Watch—all we have so far is a “from $349” (about £230) —with speculation that Apple will price the Apple Watch Edition at $4,999 (£3,284) for the 18-karat gold version, competing directly with the likes of Omega and Rolex. Annoyingly, most of the specifications of the Apple Watch are, as yet, unknown. We know the screen size and resolution—390 x 312 for the 42mm version (aimed at men); 340 x 272 for the 32mm version (aimed at women)—and that, at least for the first generation version, the Watch is mainly a companion for the iPhone. Comparisons could be drawn between the iPod and the Mac in 2001: the iPod was entirely reliant on a Mac and later progressed into a more independent product as the technology improved. In terms of software, little is known about the Apple Watch apart from what Apple demoed on stage. Many of its features are neat—the ability to send your heart beat, for example—but don't make the Watch a must-have gadget in the same way it's first iPhone was. We know it's going to be 'like iOS but not really' as it has a digital crown to spin around, the main way of interacting with Apple's wrist wear. Whether that works properly is yet to be seen, but there's got to be something different that turns the Apple Watch into a gadget that's more than just another screen for your smartphone. So it's clear: this is version one of the Watch, a techno-timepiece designed to be more luxury than smartphone accessory. It won't be cheap, it'll be out soon, and if we get to version three in a couple of years time, it will have to be seen as a success. You might have noticed something else last year: Apple launched the most significant updates to the iPhone line since the iPhone 4 shed the plastic and went hyper-premium. 2015 is likely going to see a minor update to the iPhone line—the 6S and 6S Plus—as is Apple's prerogative in “off year” updates, introducing new processors among other updated internals. Rumours have also been spreading that Apple is going to wind down production of the plastic iPhone 5C which hasn't received an update since its launch and remains as the 'cheap' iPhone. The more interesting angle is that the iPhone 5S will be repackaged into an 'iPhone 6S mini' that will keep the smaller screen size for those that like the more compact handset, and will replace the iPhone 5C as the cheapest option for a 'new' iPhone. iOS 9 will also be in the pipeline and while few leaks have emerged, it will likely continue to hone the design language of iOS 8 and iron out some of the bugs that have plagued iOS point updates in July. The iPad mini 3 was, simply put, a maddeningly disappointing update, adding only a TouchID sensor and retaining the old A6 processor, leaving it a version behind the current slew of slates, hinting that Apple thinks the smaller tablet might be heading the way of the digital Dodo – after all, the Nexus 7 has been replaced in favour of the more expansive Nexus 9. But like a clear sign that your parents prefer your brother, the iPad Air received a solid update with a slimmed down chassis and improved screen. For the iPad mini, 2015 will be its deciding year and holiday sales will decide if the mediocre update has put consumers off. Enough of boring updates though – surely Apple's got something new in the works? Yes, yes it has… if the rumour mill is to be believed. Apple is tipped to be experimenting with a larger iPad—dubbed the iPad Pro by the media—which would rival the Surface Pro for size and would be aimed at those who use their iPad for work. Sales of Microsoft's Surface Pro 3 are strong according to Microsoft's quarterly filings, showing that customers do want a tablet that can replace a laptop for work related tasks. Apple won't want to miss out on a slice of any pie, and the thought of a tablet-based Macbook substitute must be appealing for a number of Apple fans. Don't worry if you're a fan of the big boy of the Apple range though: the Mac isn't going anywhere, nor is its lap-based sibling. 2014 saw the biggest integration of iOS and OS X yet, plus some disarmingly high-end hardware, with the Retina 5K display on the iMac the highlight. The introduction of this hyper clear screen continues Apple's march towards an all-Retina lineup of laptops and desktops, leaving only the MacBook Air without… so can you guess what's coming in 2015? And if cost is a worry, recent rumours have been circling that Apple is developing an ARM-based MacBook Air with a 12-inch display which would likely replace the 11-inch MacBook Air as the smallest and cheapest laptop Apple sells. When will we see Apple's new computing tools? Apple will likely tie the unveiling of any new Mac hardware with OS X 10.11, which is, as yet, unnamed, but probably named after another US location – we're crossing our fingers for Rich Fields. While there are very few leaks surrounding the next version of Apple's PC software, expect to see even closer integration with iOS, increasing the synergy with iOS devices. If you've got this far, you'll probably have noticed that there's a lot of incremental updates coming from Apple – the big news will be the Watch and the iPad Pro if the blasted thing ever turns up, combined with vague 'S' upgrades to the iPhone and iPad range. Will people still buy the stuff in droves? You can bet your white-clad living room on it… but the discerning buyer might want to wait until 2016 rolls around to get the best tech from Cupertino. As long as you can dodge all the flying cars and robot butlers, that is.